The Model 4500 Series Ultra-High Accuracy Thermometer takes metrology-level temperature measurement to the laboratory, the production floor and the field. 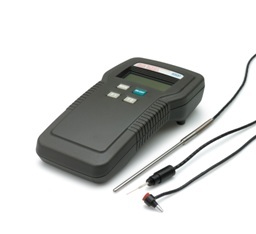 Ultra-high system accuracy is achieved because the thermometer and probe function as if they were calibrated together as a system even though they can be purchased separately. The 4500 System uses coefficients stored in each probe with the Steinhart-Hart algorithm to calculate the exact temperature reading every time you plug in a probe to take a measurement. The 4500 series thermometers accept a wide range of plug-in probes equipped with proprietary Smart Probe system. 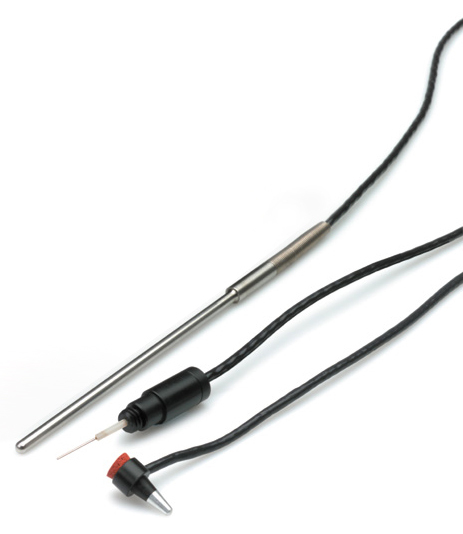 The probes utilise super stable thermistors capable of providing high resolution, fast response and ultra high accuracy. Stainless steel sheathed probe for waterbaths, calibrators and other general purpose applications. Designed for use with the 4500 Thermometer to simply plug and play.